While most of us here love a bit of vintage in our wardrobes, we're pretty quick to admit styling it can feel a little daunting. Hence, our obsession with online retailer Thrifted & Modern, whose highly curated inventory and killer styling have us pining after their its stock! 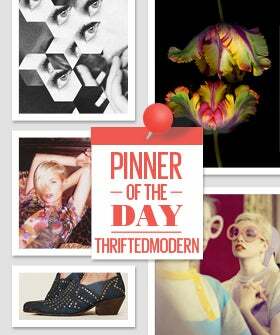 Thanks to the brand's impressive Pinterest, followers receive even more fashionable eye-candy with must-follow boards dedicated to mixed prints, blogger style, and vintage labels that provides way more inspiration than your run-of-the-mill e-commerce shop!